Accommodates most stroller makes and models. Completely encloses the front and side of baby stroller. 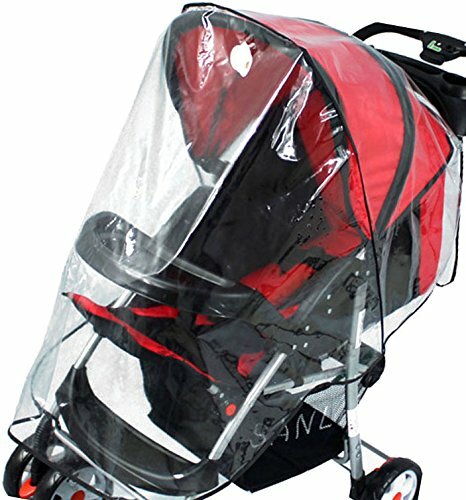 Storage bag included to keep stroller weather shield from getting punctured. This stroller cover with its universal design is perfect to use during the summer/spring. It allows breathable and comfortable space while protecting your child from the rain, snow, wind, and insects.